It is a privilege and an honor for me, as the President of the WPSA (World's Poultry Science Association), to welcome you all to The 2nd International Conference on Livestock Nutrition. Firstly, I would like to express my pleasure at your ever increasing development and contribution as an important international player in the animal nutrition field. I am sure this event will only add to this profile and help further progress in all areas and the challenges faced in maximizing the efficiency of the sector in terms of improving animal nutrition and feed production. 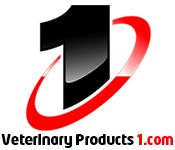 Livestock nutrition has become the core and essential part of any food product chain from animal origin. Human beings are carefully looking for healthier food, with less chemical residues and harmful microorganism contamination. Nowadays, organic type products are integral part of healthy human diet. The consumption of poultry meat and eggs are increasing all over the world, especially in the developing countries. Increasing prosperity in emerging markets, affordable (lower cost) to everyone, and no religious restriction in its consumption are the key points for its growth. Local and regional markets will play an important role on its development due to consumers’ preference for fresh chicken, government policies to protect domestic production, and adaptation of quality of chicken (breeds, weight, cuts, etc) to local markets. 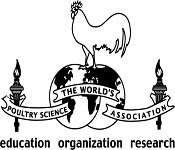 The WPSA has a long history in stimulating poultry production through research, education and organization. I would like to congratulate all organizing members that have made this event possible. To all delegates attending this Conference, I encourage all of you to keep supporting and attending the WPSA in the future, remembering that in 2016 we are going to have the 25th World Poultry Congress in Beijing, China. Once again, I thank you all very much, and wish you all an enjoyable and successful Congress. See you in the near future at one of the WPSA coming events. I take this opportunity to congratulate OMICS International for organising the “2nd International Conference on Livestock Nutrition” during July 21-22, 2016 at Brisbane, Australia. The conference theme – Leading Innovation and Sustainability in Livestock Nutrition and Health Worldwide – is very appropriate and most relevant to the United Nations Sustainable Development Goal 2, which aims to end all forms of malnutrition by 2030. Elimination of malnutrition from human population is a daunting task and would require all out global efforts. I believe that livestock sector, an important part of food supply chain for a large section of human society, can make a significant contribution to achieving the goal of ending malnutrition from this world. Foods of animal origin are among the best sources for diversity of micronutrients including vitamin A, vitamin B12, riboflavin, calcium, iron and zinc that are essential for proper growth and development and overall good health. With growing affluence, consumption of animal-source food including naturally produced dairy products is rising in the developing countries. However, consumption is still very low in the poorest countries where epidemic of malnutrition is widespread and children are the worst affected. With growing human population and decreasing availability of land for feed and food production, it is crucial that livestock production attains highest level of efficiency in resource use and ranks high among preferred sources of high quality and safe nutrition for human population in the developed and developing countries alike. Presently, suboptimal livestock nutrition is a common and widespread problem in poor countries. New tools and technologies are needed to remedy this situation and for increasing the livestock productivity and achieving global food security. Livestock Nutrition-2016 will be an excellent platform for interaction between experts and various stakeholders and for the exploration of new partnerships for accelerating scientific discoveries in livestock nutrition and health. I sincerely hope this conference will deliberate on various nutrition-related issues and come up with recommendations that will be game changers. I wish the conference a great success! 2nd International Conference on Livestock Nutrition July 21-22, 2016, Australia, International Conference on Dairy June 29 - 30, 2016, USA; International Conference on Veterinary Microbiology September 15-17, 2016, USA;, 3rd International Veterinary Congress August 18-20, 2016, United Kingdom; 5th Animal Health and Veterinary Medicine Congress September 29-October 01, 2016, Spain; 2016 FIAAP Animal Nutrition Conference March 29-31, 2016, Thailand; Vet Health Conference June 2017; International Livestock Conference and Expo, January 28-31, 2016 Hyderabad; Conference on Dairy Farming, June 21-23, 2016 Leeuwarden, Netherlands; International Conference on Sustainable Livestock January 12-15, 2016 Bristol, United Kingdom. 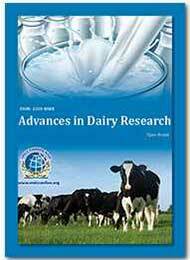 Australian Cattle Breeders Associations, Australia; Australian Wagyu Association, Australia; Australian Egg Corporation Limited, Australia; Australian Chicken Meat Federation, Australia; Vegan Outreach, USA; Society of Animal Welfare Administrators, USA; Indraloka Animal Sanctuary, USA; American Rose Society, USA; Old Irish Goat Society, Ireland; Charleston Animal Society, USA; Egyptian Society for Mercy to Animals, Egypt; South African Society for Animal Science, South Africa. 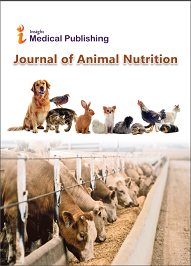 In Livestock and Health events today, the nutritional needs of farm animals are well understood and may be satisfied through natural forage and fodder alone, or augmented by direct supplementation of nutrients in concentrated, controlled form. The nutritional quality of Animal feed is influenced not only by the nutrient content, but also by many other factors such as feed presentation, hygiene, digestibility, and effect on intestinal health. Feed additives seminars provide a mechanism through which these nutrient deficiencies can be resolved effect the rate of growth of such animals and also their health and well-being. Even with all the benefits of higher quality feed, most of a farm animal's diet still consists of grain-based ingredients because of the higher costs of quality feed. 2nd International Conference on Livestock Nutrition July 21-22, 2016, Australia; International Conference on Dairy June 29 - 30, 2016, USA; International Conference on Veterinary Microbiology September 15-17, 2016, USA; 3rd International Veterinary Congress August 18-20, 2016, United Kingdom; 5th Animal Health and Veterinary Medicine Congress September 29-October 01, 2016, Spain; 2016 FIAAP Animal Nutrition Seminar March 29-31, 2016; Thailand, Vet Health Conference June 2017; International Livestock Conference, January 28-31, 2016 Hyderabad; Conference on Dairy Farming, June 21-23, 2016 Leeuwarden, Netherlands; International Conference on Sustainable Livestock January 12-15, 2016 Bristol, United Kingdom. The Humane Society of the United States, USA; Pig Breed Associations, Australia; Animal Equality, UK, Albert Schweitzer Foundation, Germany; Vegan Outreach, USA, Society of Animal Welfare Administrators, USA; Indraloka Animal Sanctuary, USA; The US Poultry Egg Association, USA; Iowa Cattlemen's Association, USA; Animal Nutrition Society of India, India; Meat and Livestock Australia, Australia. The importance placed on a particular Livestock Conference will depend on several factors, like to protect public health, protect and promote the welfare of animals, protect the interests of the wider economy, environment and society, and protect international trade. Livestock management events require strong business sense and a firm understanding of how farms and ranches operate. If you enjoy working with animals and leading people, you might find a rewarding career in this field. Livestock managers are responsible for running the business of poultry farms, dairy farms, cattle ranches or other livestock-related agribusinesses conferences. They must keep accurate financial records, supervise workers and ensure proper care and feeding of animals. Managers on smaller farms may be responsible for doing some physical labor as well, like assisting with animal births or repairing machinery. 2nd International Conference on Livestock Nutrition July 21-22, 2016, Australia; International Conference on Dairy June 29 - 30, 2016, USA; International Conference on Veterinary Microbiology September 15-17, 2016, USA; 3rd International Veterinary Congress August 18-20, 2016, United Kingdom; 5th Animal Health and Veterinary Medicine Congress September 29-October 01, 2016, Spain; 18th International Conference on Farm Management and Livestock Technologies March 21-22, 2016 Rome Italy; International Livestock Conference, January 28-31, 2016 Hyderabad, India; 67th Annual Meeting of the European Federation of Animal Science August 29-September 2, 2016 Belfast, United Kingdom. Egyptian Society for Mercy to Animals, Egypt; South African Society for Animal Science, South Africa; American Rose Society, USA; Old Irish Goat Society, Ireland; Charleston Animal Society, USA; Meat and Livestock Australia, Australia; Cattle Council of Australia, Australia; Murray Grey Society, Australia; Feed Ingredients and Additives Association of Australia, Australia; Australian Pig Breeders Society, Australia. 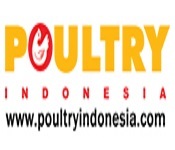 Conference on Poultry farming is a lucrative and popular business throughout the world. But it can be a risky business suddenly, especially if you are not concerned about poultry feed management. Success in the poultry farming business mostly depends on feeding quality feed and feed formulation system. For proper growth, egg production and good health, poultry birds require energy. In order to obtain desired growth rate, you must have to purchase and provide highly nutritious poultry feed. Except adequate and quality feeding, you can’t run your business properly. As a poultry farmer, you should always produce and sell fresh and healthy birds and quality eggs. For producing quality eggs and meat you have to feed your birds quality feed. This will also help to get maximum returns from your poultry farming business. Here we are describing more about poultry feed events and different types of essential ingredients in the feed. 2nd International Conference on Livestock Nutrition July 21-22, 2016, Australia; International Conference on Dairy June 29 - 30, 2016, USA; International Conference on Veterinary Microbiology September 15-17, 2016, USA; 3rd International Veterinary Congress August 18-20, 2016, United Kingdom; 5th Animal Health and Veterinary Medicine Congress September 29-October 01, 2016, Spain; World’s Poultry Congress September 5-9, 2016 Beijing, China; Midwest Poultry Federation (MPF) Convention March 15-17, 2016 Minneapolis, USA; International Poultry Expo January 26-27, 2016 Atlanta, USA; Poultry Information Exchange (PIX) and Australasian Milling Conference (AMC) May 29-31, Gold Cost, Australia. Animal Nutrition Society of India, India; Egyptian Society for Mercy to Animals, Egypt; South African Society for Animal Science, South Africa; Meat and Livestock Australia, Australia; Feed Ingredients and Additives Association of Australia, Australia; The US Poultry Egg Association, USA; Australian Egg Corporation Limited, Australia; Australian Chicken Meat Federation, Australia; Society of Animal Welfare Administrators, USA; Vegan Outreach, USA. Conference on Cattle colloquially cow are the most common type of large domesticated ungulates. They are a prominent modern member of the subfamily Bovinae, are the most widespread species of the genus Bos, and are most commonly classified collectively as Bos taurus. Cattle are raised as livestock for meat (beef and veal), as dairy animals for milk and other dairy products, and as draft animals (oxen or bullocks that pull carts, plows and other implements). Other products include leather and dung for manure or fuel. In some regions, such as parts of India, cattle have significant religious meaning. From as few as 80 progenitors domesticated in southeast Turkey about 10,500 years ago, according to an estimate from 2003, there are 1.3 billion cattle in the world. In 2009, cattle became one of the first livestock animal’s events to have a fully mapped genome. Some consider cattle the oldest form of wealth, and cattle raiding consequently one of the earliest forms of theft. 2nd International Conference on Livestock Nutrition July 21-22, 2016, Australia; International Conference on Dairy June 29 - 30, 2016, USA; International Conference on Veterinary Microbiology September 15-17, 2016, USA; 3rd International Veterinary Congress August 18-20, 2016, United Kingdom; 5th Animal Health and Veterinary Medicine Congress September 29-October 01, 2016, Spain; International Livestock Conference and Expo, January 28-31, 2016 Hyderabad, India; Conference on Dairy Farming, June 21-23, 2016 Leeuwarden, Netherlands; International Conference Steps to Sustainable Livestock January 12-15, 2016 Bristol, United Kingdom; Asian Australasian Animal Production Animal Science Congress August 22-25, 2016 Fukuoka, Japan. The Humane Society of the United States, USA; Pig Breed Associations, Australia; Animal Equality, UK; Albert Schweitzer Foundation, Germany; Vegan Outreach, USA; Society of Animal Welfare Administrators, USA; Indraloka Animal Sanctuary, USA; The US Poultry Egg Association, USA; Iowa Cattlemen's Association, USA; Animal Nutrition Society of India, India; Egyptian Society for Mercy to Animals, Egypt; South African Society for Animal Science, South Africa. Nutrition Events plays a major role in the overall productivity, health, and well-being of the sheep flock. Because feed costs account for approximately two-thirds of the total cost of production on most Virginia sheep farms, it is important that producers consider nutrition management a top priority. Nutrient requirements meeting of sheep vary with differences in age, body weight, and stage of production. The five major categories of nutrients required by sheep are: water; energy; protein; vitamins and minerals. During the grazing season, sheep are able to meet their nutrient requirements from pasture and a salt and mineral supplement. Hay is provided to the flock when forages are limited, and grain may be added to the diet at certain stages of production when additional nutrient supplementation is required. Small grain pastures or stockpiled fescue can supply up to one-half of the feed requirements of the ewe flock during the winter. For winter-born lambs, creep diets and diets for early-weaned lambs are formulated from high energy feed grains and protein supplements to promote accelerated growth. Conference on grazing season, pastures of mixed grass and clover, alfalfa, small grain, and turnip serve as excellent sources of nutrition for growing lambs. A source of clean, fresh water is provided to sheep at all times. 2nd International Conference on Livestock Nutrition July 21-22, 2016, Australia; International Conference on Dairy June 29 - 30, 2016, USA; International Conference on Veterinary Microbiology September 15-17, 2016, USA; 3rd International Veterinary Congress August 18-20, 2016, United Kingdom; 5th Animal Health and Veterinary Medicine Congress September 29-October 01, 2016, Spain; Lambex August 10-12, 2016 New South Wales, Australia; Asian Australasian Animal Production Animal Science Congress August 22-25, 2016 Fukuoka, Japan; 18th International Conference on Sheep, Goat and other Non-Cow Milk, September 21-22, 2016 Dubai, UAE; Australian Sheep Veterinarians Conference September 9-11, 2016 New South Wales, Australia; Sheep Event July 27, 2016 United Kingdom. The Humane Society of the United States, USA; Pig Breed Associations, Australia; Animal Equality, UK, Albert Schweitzer Foundation, Germany; Vegan Outreach, USA; Society of Animal Welfare Administrators, USA; Indraloka Animal Sanctuary, USA; The US Poultry Egg Association, USA; Iowa Cattlemen's Association, USA; Animal Nutrition Society of India, India; Egyptian Society for Mercy to Animals, Egypt; South African Society for Animal Science, South Africa. Meeting on Organic production are just one of the many options available to livestock producers to grow and market quality livestock and wholesome end-products. Organic livestock management practices offer unique rewards and challenges to the livestock producer regardless of the animal species produced. Conference on Organic livestock production often necessitates the integration of animal-pasture-crop production to be successfully. There are a number of considerations that need to be addressed to successful produce certified organic livestock and products. Origin of Livestock: Livestock events and products from the livestock that are sold, labeled, or advertised as organic must be from livestock that originate from animals that were managed under continuous organic management from the last third of gestation or at hatching. 2nd International Conference on Livestock Nutrition July 21-22, 2016, Australia; International Dairy Conference June 29 - 30, 2016, USA, USA; International Conference on Veterinary Microbiology September 15-17, 2016, USA; 3rd International Veterinary Congress August 18-20, 2016, United Kingdom; 5th Animal Health and Veterinary Medicine Congress September 29-October 01, 2016, Spain; MOSES Organic Farming Conference February 25-27, 2016 Wisconsin, USA; Organic Producers Conference, January 27-28, 2016 Bristol, United Kingdom; 6th Greenhouse Gas and Animal Agriculture Conference February 14-18, 2016 Melbourne, Australia. Livestock Feed Conference percentage of agricultural gross production is used for animal nutrition purposes. These products can be used directly, i.e. grasses, silages and grains, other feedstuffs of animal or plant origin do not reach feedstuff status until several steps of processing (to provide human food) have been carried out. These products are generally called by-products, i.e. soy bean meal, rice bran, fish meal and dried distiller’s grain. Finally manufactured feedstuffs exist; these feedstuffs mainly involve feed additives (i.e. amino acids, enzymes, minerals, vitamins) that help improve the quality of diet compositions based on primary products (direct use) and by-products. Meeting on feed ingredient is a component part or constituent or any combination/mixture added to and comprising the feed. Feed ingredients might include grains, milling byproducts, added vitamins, minerals, fats/oils, and other nutritional and energy sources. Animal feed events provide a practical outlet for plant and animal byproducts not suitable for human consumption. 2nd International Conference on Livestock Nutrition July 21-22, 2016, Australia; International Conference on Dairy June 29 - 30, 2016, USA; International Conference on Veterinary Microbiology September 15-17, 2016, USA; 3rd International Veterinary Congress August 18-20, 2016, United Kingdom; 5th Animal Health and Veterinary Medicine Congress September 29-October 01, 2016, Spain; Asian Australasian Animal Production Animal Science Congress August 22-25, 2016 Fukuoka, Japan; Australasian Milling Conference May 29-31, 2016; Purchasing and Ingredient Suppliers Conference March 7-11, 2016 New Orleans, USA; FIAAP ASIA 2016 March 29-31, 2016 Bangkok, Thailand. Animal Nutrition Society of India, India; Egyptian Society for Mercy to Animals, Egypt; South African Society for Animal Science, South Africa; Meat and Livestock Australia, Australia; Feed Ingredients and Additives Association of Australia, Australia; The US Poultry Egg Association, USA; Australian Egg Corporation Limited, Australia; Australian Chicken Meat Federation, Australia; Society of Animal Welfare Administrators, USA; Vegan Outreach, USA; Australian Wagyu Association, Australia; Australian Egg Corporation Limited, Australia; Australian Chicken Meat Federation, Australia. Analyzing the impact of escalating feed costs on animal agriculture events, it’s important to consider the causes of these increasing prices as well as overall solutions to the problems resulting from higher feed costs. A variety of factors have contributed to higher feed grain prices. However, unlike most other periods of rising grain prices, recent price increases have been driven primarily by strong demand, not supply shocks. In particular, rapid growth of ethanol production in the United States has been a key factor. Conference on feed additives market continues to be a lucrative market for companies dealing in feed additive products. The market players are responding to the emerging opportunities by expanding their global presence and product lines. The market for feed additives, on the basis of types is classified into antioxidants, amino acids, enzymes, vitamins, minerals, antibiotics, acidifiers, binders, and others. 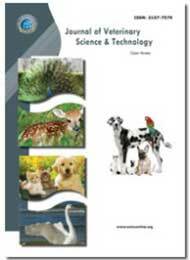 The segmentation based on livestock, is poultry, swine, cattle, aquatic animals, and others. The market, by region, is segmented into North America, Europe, Asia-Pacific, and Rest of the World (RoW). The feed additives market function is expected to reach USD 18.0 Billion by 2015 at a CAGR of 3.9% by 2020. 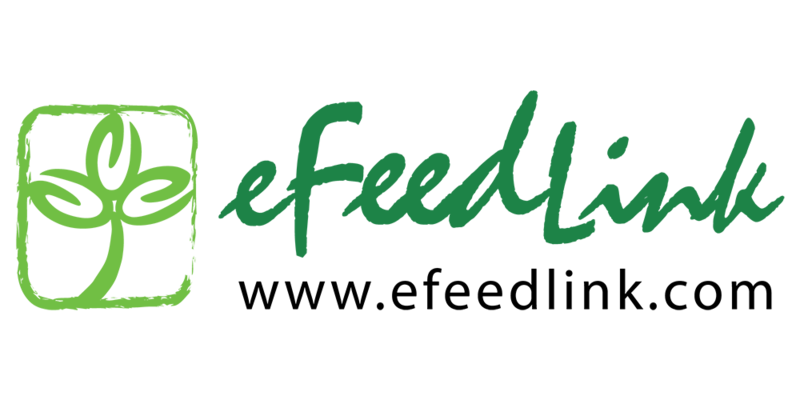 Feed additives meetings help in improving animal health and increase productivity by providing enriched nutrients along with the feedstuff, which accelerates growth & weight gain, develops immunity against diseases, and enhances overall performance of the livestock. 2nd International Conference on Livestock Nutrition July 21-22, 2016, Australia; International Conference on Dairy June 29 - 30, 2016, USA; International Conference on Veterinary Microbiology September 15-17, 2016, USA; 3rd International Veterinary Congress August 18-20, 2016, United Kingdom; 5th Animal Health and Veterinary Medicine Congress September 29-October 01, 2016, Spain; Global Pet Conference March 16-18, 2016 Orlando, USA; International Livestock Conference and Expo January 28-31, 2016 Hyderabad, India; 5th Global Feed and Food Congress April 18-20, 2016 Antalya, Turkey; British Pig and Poultry Fair May 10-11, 2016 United Kingdom; VIV MEA 2016 February 15-17, 2016 Dubai, UAE. Animal Nutrition Society of India, India; Egyptian Society for Mercy to Animals, Egypt; South African Society for Animal Science, South Africa; Meat and Livestock Australia, Australia; Feed Ingredients and Additives Association of Australia, Australia; The US Poultry Egg Association, USA; Australian Egg Corporation Limited, Australia; Australian Chicken Meat Federation, Australia; Society of Animal Welfare Administrators, USA; Vegan Outreach, USA; American Rose Society, USA; Old Irish Goat Society, Ireland; Charleston Animal Society, USA; Cattle Council of Australia, Australia; Murray Grey Society, Australia; Feed Ingredients and Additives Association of Australia, Australia; Australian Pig Breeders Society, Australia. 2nd International Conference on Livestock Nutrition July 21-22, 2016, Australia; International Conference on Dairy June 29 - 30, 2016, USA; International Conference on Veterinary Microbiology September 15-17, 2016, USA; 3rd International Veterinary Congress August 18-20, 2016, United Kingdom; 5th Animal Health and Veterinary Medicine Congress September 29-October 01, 2016, Spain; Meat Conference, February 21-23, 2016 Tennessee, USA; Aqua Feed Horizons Asia March 29, 2016 Bangkok, Thailand; Feed Production Exhibition and Conference June 9, 2016; AFAM Forum March 1-3, 2016 Sun City, South Africa. Pig Breed Associations, Australia; Animal Equality, UK; Albert Schweitzer Foundation, Germany; Vegan Outreach, USA; Society of Animal Welfare Administrators, USA; The US Poultry Egg Association, USA; Animal Nutrition Society of India, India; South African Society for Animal Science, South Africa; Old Irish Goat Society, Ireland; Meat and Livestock Australia, Australia; Cattle Council of Australia, Australia; Murray Grey Society, Australia; Feed Ingredients and Additives Association of Australia, Australia; Australian Chicken Meat Federation, Australia. Grain crimping or moist grain crimping is an Agro technology event, an organic way to preserve feed grain into livestock fodder by fermentation. Crimped grain brings health benefits to the animals and economic benefits such as cost savings and increased meat or milk production to the farmer. Feed mixers are used in feed mills for the mixing of feed ingredients and premixes. The mixer plays a vital role in the feed production process, with efficient mixing being the key to good feed production meetings. If feed is not mixed properly, ingredients and nutrients will not be properly distributed with it comes time to extrude and pelletize the feed, or if the feed is to be used as mash. This means that not only would the feed not have Nutrition conference values and benefit, it would be bad for the animals/fish/shrimp that are eating it. 2nd International Conference on Livestock Nutrition July 21-22, 2016, Australia; International Conference on Dairy June 29 - 30, 2016, USA; International Conference on Veterinary Microbiology September 15-17, 2016, USA; 3rd International Veterinary Congress August 18-20, 2016, United Kingdom; 5th Animal Health and Veterinary Medicine Congress September 29-October 01, 2016, Spain; International Manufacturing Technology Show September 12-17, 2016 Chicago, USA; Cereals Mixed Feed Veterinary and Aquaculture Conference January 26-28, 2016 Moscow, Russia; International Microsystems, Packaging, Assembly and Circuits Technology Conference October 21-23, 2016 Taipei, Taiwan; Food Pack Asia March 3-6, 2016 Bangna, Thailand. 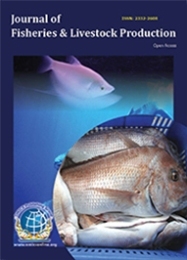 Animal Nutrition Society of India, India; Egyptian Society for Mercy to Animals, Egypt; South African Society for Animal Science, South Africa; Meat and Livestock Australia, Australia; Feed Ingredients and Additives Association of Australia, Australia; The US Poultry Egg Association, USA; Australian Egg Corporation Limited, Australia; Australian Chicken Meat Federation, Australia; Society of Animal Welfare Administrators, USA; Vegan Outreach, USA; Pig Breed Associations, Australia. This topic examines issues not easily assigned to a particular livestock commodity, such as price reporting or animal health and welfare. In 2014, drought in major northern cattle regions significantly increased turnoff and reduced the size of the cattle herd. Total slaughter was almost ten million; production was 2.6 million tonnes and live cattle exports reached 1.3 million. Post estimates have been adjusted to reflect statistical revisions and new estimates. In 2015, seasonal conditions are a key factor. Continuation of improved rainfall should see herd rebuilding become a greater priority. Producers still face uncertainty over seasonal conditions and pasture recovery will take time. Beef production and exports are expected to decline in 2015 from the records of the previous year. Pig numbers and pork production will be relatively stable in 2015. In 2015, the beef cattle herd is expected to fall six percent to 27.6 million head due to the very high level of turnoff (slaughter and live cattle exports) in the previous two years. Total slaughter is expected to decline to 8.65 million after almost reaching ten million the previous year. Live cattle exports are forecast to fall from a record 1.3 million in 2014 to 0.9 million this year. Domestic cattle and beef prices are likely to recover due to supply constraints and rising international prices. For 2015, Post revised down the estimated calf crop from 9.6 million to 9.4 million because of adverse conditions, including the continuing drought in northern Australia, the high rate of female cattle in slaughter and diminished fertility levels due to poor pastures. The ratio of female cows in slaughter normally averages around 45-47 percent but exceeded 50 percent for part of 2014 as producers reduced herd size. This changed estimate is based on a calf production rate closer to the historical average. Almost one million cattle were in feedlots in 2014 due to the diminished pastures in northern NSW and Queensland, but this number is expected to decline in 2015 as pastoral conditions improve. In addition to drought, a higher number of cattle are being finished in feedlots because of increased demand for grain-fed beef from Japan and Korea as well as from the domestic market. Feedlot buyers were active in cattle sales in 2014 and there were 965,000 cattle on feed at the end of the December quarter, ahead of the previous record set in 2006. Exports of grain-fed beef increased by 10 percent in 2014 to 230,700 tonnes. In 2015, herd re-building is likely to become a greater priority provided that average weather conditions prevail. The recent high turnoff in the drought-affected northern regions is unlikely to be sustainable, but continued adverse weather conditions could lengthen the period of high turnoff. The Bureau of Meteorology’s threemonth rainfall outlook for moderate conditions across most cattle regions is expected to encourage herd rebuilding. This process will take time and the diminished Australian herd imposes supply constraints on exports, including to the United States. Post notes some uncertainty over actual cattle numbers as Australian Bureau of Statistics preliminary estimates were revised for 2014. In 2015, Australia is forecast to produce 2.2 million tonnes of beef and veal, down by 15 percent on the Post estimate for the previous year. However, below average rainfall could affect this outlook and boost slaughter rates and production volumes. Carcass weights are expected to be similar in 2015 to the previous year. Average beef prices have increased in recent years and this trend is expected to continue in 2015. The national yearling feeder steer price in early 2015 was above the average of 187 cents per kilogram for 2014 and 174 cents per kilogram for 2013. High international beef prices have contributed to a strengthening of domestic prices. In 2015, domestic per capita beef consumption is expected fall on the previous year. Almost all fresh meat buyers purchase beef but it faces significant competition from both lower priced chicken and pork. Surveys suggest beef is considered a luxury good compared to white meats. The budget share of all meats is declining as a share of total income as income rises, while the price of red meat has tended to rise faster than for white meats. Hence consumption is expected to continue a downward trend, both overall and on a per capita basis with a consumer move away from red meat towards cheaper sources of animal protein such as chicken and pork. Supermarkets account for 80 percent of red meat sold at a retail level in Australia, a share that has increased in recent years. An increasing share of beef sold by domestic supermarkets is finished at feedlots. Australian live cattle exports for 2015 are forecast to decrease significantly to 900,000 head due to supply constraints. The ASEAN markets of Indonesia, Vietnam and Malaysia are expected to remain significant importers of Australian live cattle. China emerged as the third largest importer of Australian live cattle in 2014 and is expected to increase in importance, especially as the China-Australia FTA (CHafta) provides for the removal of tariffs of up to ten percent over 4 years. CHafta is expected to come into force in late 2015 and negotiations on import protocols for live cattle imports are currently underway. Australia was granted access for feeder and slaughter cattle into Thailand on 21 November 2014. There is significant commercial interest in the Thai market, with the first shipment of cattle departing Australia in January 2015. Industry estimates that live cattle exports to Thailand could reach up to 30,000 head annually. Under the Thailand-Australia Free Trade Agreement, Australia enjoys zero tariffs on feeder and slaughter cattle imports into Thailand. In 2015, beef and veal exports are expected to decline to 1.5 million tons as slaughter rates fall from record levels and herd re-building is given greater priority. The weaker Australian dollar has encouraged exports, as has strong demand from the United States, China, South Korea, South-East Asia and the Middle East, but supply constraints will limit volumes. Australia is expected to remain the largest beef exporter to the US market, which has replaced Japan as the largest export market for Australia. Australian beef exports enter the US market under a tariff rate quota. In 2014, this was set at 413,214 tonnes and the new import quota for 2015 is 418,214 tonnes. Post expects that the stronger US dollar will maintain Australian beef exports to the United States at a slightly lower level of 500,000 tons, representing a smaller decline than for exports to other markets. Foreign Investment In early March 2015, the Federal Treasurer approved a A$1.4 billion takeover bid by Brazilian meat company JBS, to acquire Australian smallgoods producer Primo. The decision follows an announcement by the Australian Competition and Consumer Commission (ACCC) the previous month that it would not oppose the move. BS USA Holdings Inc is the subsidiary of the Brazilian company JBS S.A., which is the world’s largest processor of fresh beef and pork. Primo (Australian Consolidated Food Holdings) is the largest producer of ham, bacon and smallgoods in Australia and New Zealand. The Treasurer has approved the sale on condition that an abattoir in NSW must remain open and retain its capacity for consignment killings accessible by third parties The Treasurer stated that “The government welcomes foreign investment in Australia and continues to ensure that investments are consistent with Australia’s national interest”. The Agriculture Minister said conditions attached to the sale would ensure that local cattle producers “have certainty around access" for contract processing”. JBS will have to report to the Foreign Investment Review Board (FIRB) on its compliance with these conditions every six months and the transaction be reviewed in three years. JBS could be forced to divest the purchase if these conditions are not met. The company has been in Australia for seven years and reportedly owns eleven abattoirs in five States. Poultry: Since the beginning of this year, the U.S. poultry industry has been confronted with multiple outbreaks of Highly-Pathogenic Avian Influenza, a virus lethal to poultry. To date, the heaviest incidence of the virus has fallen on table egg layers and on turkeys in Midwestern States. The current outbreak of Avian Influenza (AI) has not significantly impacted the production of broiler meat. The turkey industry has seen AI impact both its production and exports. As of June 9, 2015, outbreaks in commercial or backyard flocks have been reported in 15 States, primarily located in the Midwest and on the West Coast. Iowa has historically been the leading producer of table eggs in the United States, and Minnesota has led the nation in turkey production. Table egg production in April totaled 593 million dozen, 0.6 percent lower than a year earlier. The forecast for table egg production for 2015 was lowered to 6.9 billion dozen, a decline of 5.3 percent from 2014 and a decrease of 334 million dozen compared with last forecast. Egg production for 2016 is forecast to be 7.0 billion dozen; an increase of 2.0 percent over 2015’s forecast. Eggs in the New York region averaged $1.69 in May 2015, about 30 percent higher than in May 2014. The forecast for 2015 stands at $1.60 to $1.66 per dozen; about 15 percent higher than in 2014. The price for 2016 is forecast at between $1.36 - $1.47 per dozen. Total production of hatching eggs in 2015 is forecast at 1.1 billion dozen, 4 percent higher than in 2014.The 2016 forecast is 385 million dozen, a 4.3-percent increase over the forecast for 2015. Boiler meat production estimate for second-quarter 2015 was increased by 25 million pounds to 10.1 billion pounds, up 5 percent from the previous year due to a combination of higher live weights and more birds going to slaughter. Prices for whole broilers are forecast at $1.03 to $1.06 per pound in second-quarter 2015. Fourth-quarter whole bird prices are expected to be $0.96 to $1.04 per pound, down slightly from $1.03 per pound the previous year. The estimate for 2016 was unchanged at $0.99 to $1.07 per pound, a small increase from 2015. The total for 2015 is 6.8 billion pounds, a reduction of 50 million pounds from the previous forecast. Overall turkey stocks at the end of April totaled 394 million pounds, up 5 percent from the previous year. The ending stocks estimate for second-quarter 2015 was lowered to 500 million pounds, down 25 million pounds from the previous forecast, but still 8 percent higher than the previous year. The ending stocks forecast for 2016 was 250 million pounds, a reduction of 25 million pounds as production by the end of 2016 is expected to be moving toward recovery to pre-HPAI levels. Turkey exports in April totaled 42.4 million pounds, down 27 percent from the previous year. Falling beef prices and improved pasture conditions will likely intensify cattle producers’ summer grazing intentions. Improved pasture conditions will provide forage for the already low cow numbers, and fewer cows will be slaughtered. Improved pasture conditions will also provide a longer grazing season for feeder cattle, which will leave fewer cattle for placement in feedlots until the end of the grazing season this fall. Falling fed cattle and beef prices have led to negative cattle feeding and beef packer margins as consumers appear to be backing away from beef at its recent record prices. Placements of cattle weighing 800+ lbs totaled 640,000 head, continuing as the largest net placement category. After topping $260/cwt in May, the weekly choice cutout value has declined and is now trading around $250/cwt (as of the week ending June 5th). April exports of beef were 199.6 million pounds, down 3.6 percent from last year. However, the April trade data did show some signs of improved demand for U.S. beef in international markets such as Japan, South Korea, and Taiwan. The data also showed increased beef shipments to smaller global markets (volume-wise) such as the Netherlands, Philippines, Dominican Republic, and Italy. Shipments to other top trading partners such as Mexico, Canada, and Hong Kong experienced declines relative to the previous year. Total exports of U.S. beef are expected to rise slightly in 2016 to 2.51 billion pounds. Imports of beef into the United States for 2015 are expected to reach 3.3 billion pounds. For 2016, USDA is forecasting annual beef imports at 2.92 billion pounds, down 11.9 percent relative to 2015 as U.S. domestic beef supply increases and supplies of Australian beef tighten. Second-quarter U.S. pork production is expected to be 5.9 billion lbs, almost 7 percent above a year ago, as the U.S. pork industry continues to recover from Porcine Epidemic Diarrhea (PEDv). Second-quarter hog prices are expected to average $54-$55 per hundredweight (cwt), about 36 percent below the second quarter of 2014. April pork exports were year-over-year higher for the first time since June 2014, as low U.S. prices offset some of the effects of high U.S. dollar exchange rates. USDA increased the forecast for second-quarter commercial pork production by 60 million lbs, to account for higher than expected hog slaughter in May and continued larger kills in June than initially expected. For the balance of the quarter, the retail composite pork price is expected to average in the low $3.80s per lb and in the high $3.70s per lb for 2015. Federally inspected pork production in April was 8.2 percent higher than in April 2014—when porcine epidemic diarrhea was active in U.S. hog herds— and 6.5 percent above production in April 2013. For 2015, total pork exports are expected to be 4.915 billion lbs, about 1 percent above exports last year. Dairy export forecasts on a milk-equivalent, skim-solids basis have been raised to 38.7 billion pounds for 2015 and 39.5 billion pounds for 2016. Forecasts for milk production have been raised to 208.7 billion pounds for 2015 and 213.9 billion pounds for 2016. Annual forecasts for the all-milk price are $17.15-$17.55 per hundredweight (cwt) for 2015 and $17.45-$18.45 per cwt for 2016. Commercial exports of dairy products on a milk-equivalent skim-solids basis were 3.806 billion pounds, 0.238 billion pounds above April 2014 and 0.122 billion pounds above March 2015. April exports on a milk-equivalent, milk fat basis were 0.905 billion pounds, 0.359 billion pounds below April 2014 and 0.017 billion pounds below March 2015. NDM/SMP exports to other trading partners have more than made up for the declines. U.S. exports of NDM/SMP to China, Vietnam, the Philippines, and Indonesia from January through April 2015 were lower than January through April 2014 exports, but NDM/SMP exports to Mexico and Pakistan were substantially higher. In 2015, the U.S. domestic price has been below the Oceania export price and has essentially converged with the European export price. Cheddar cheese prices increased from $1.614 to $1.661 per pound for 40- pound blocks and from $1.666 to $1.672 per pound for 500-pound barrels (adjusted to 38-percent moisture). The prices of NDM decreased from $0.942 to $0.947 per pound. Corn and soybean meal price forecasts for the 2015/16 marketing year are unchanged from last month’s forecasts at $3.20-3.80 per bushel and $305-345 per short ton, respectively. 2015 forecast for the cheese price has been raised to $1.635-$1.675 per pound. With recent price changes and abundant supplies, price forecasts for butter, NDM, and dry whey have been lowered, respectively, to $1.800-$1.870, $1.005-$1.045, and 46.5-48.5 cents per pound. With lower forecasts for butter and nonfat dry milk, the Class IV price forecast has been lowered to $14.20-$14.70 per cwt. Changes in class prices are largely offsetting, resulting in an all-milk price forecast that is unchanged at the midpoint from last month’s forecast at $17.15-$17.55 per cwt. This is an increase of 0.4 billion pounds compared with last month’s forecast, a year-over-year increase of 0.8 billion pounds and 0.3 billion pounds higher than the previous record of 2014. The 2016 forecast for NDM has been lowered to $1.195-$1.265 per pound as U.S. exporters maintain relatively low prices to meet competition. The dry whey price forecast has been lowered to 50.5-53.5 cents per pound. The cheese price forecast is unchanged from last month at $1.610-$1.710 per pound. The butter price forecast is $1.720-$1.850 per pound. With lower prices forecast for NDM and dry whey, Class III and IV prices have been lowered to $16.15-$17.15 and $15.40-$16.50 per cwt, respectively. The all-milk price forecast is unchanged at $17.45-$18.45 per cwt. Among largely agrarian economies, which are home to the majority of the world’s poor, livestock are an integral part of smallholder crop-livestock farming systems. There is thus much greater scope for investment in livestock sector development for poverty reduction than generally realized, particularly in development that enables smallholders to take advantage of the growing demand for livestock products by more affluent members of society.‘Nearly three-quarters of the extremely poor—that is around 1 billion people—live in rural areas and, despite growing urbanization, more than half of the “dollar-poor” will reside in rural areas until approximately 2035. Most rural households depend on agriculture as part of their livelihoods and around 90 percent of the world’s extremely poor are small-scale farmers. Globally, the numbers of poor livestock keepers have been increasing at a rate of about 1.4 percent per year. In terms of the absolute numbers of poor livestock keepers (less than $2/day), South Asia and sub-Saharan Africa dominate: more than 45 and 25 percent of the estimated 752 million poor livestock keepers live in South Asia and sub-Saharan Africa respectively. A combined strategy for livestock and staple crop productivity growth, exploiting the close linkage between these two sectors, would have the strongest income-multiplier and poverty-reduction benefits.India's animal feed industry is expected to double in size, to $30 billion in 5 years, with poultry, cattle and aqua feed sectors as major growth drivers, reports The Financial Express. Livestock Nutrition Conference welcomes attendees, presenters and exhibitors from all over the world to attend and register for the “2nd International Conference on Livestock Nutrition (Livestock Nutrition Conferences)” focusing on the theme “Leading Innovation and Sustainability in Livestock Nutrition” which is going to be held during July 21-22, 2016 in Brisbane, Australia. 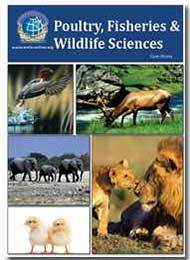 ConferenceSeries Ltd organizes 1000+ Global Events inclusive of 300+ Conferences, 500+ Workshops and 200+ Symposiums on various topics of Science & Technology across the globe with support from 1000 more scientific societies and Publishes 700+ Open Access journals which contains over 50000 eminent personalities, reputed scientists as editorial board members. According to a study, In 2015, Australia is forecast to produce 2.2 million tonnes of beef and veal, down by 15 percent on the Post estimate for the previous year. Australia is one of the world's most efficient producers of cattle and the world's third largest exporter of beef. The off-farm meat value of Australia's beef industry is $12.75 billion. The gross value of Australian cattle and calf production was estimated at $7.7 billion. Australia is one of the world's most efficient producers of cattle and the world's third largest exporter of beef. The off-farm meat value of Australia's beef industry is $12.75 billion. The gross value of Australian cattle and calf production was estimated at $7.7 billion. The national sheep flock, now at around 75.5 million head, is down on the historical highs of 1960 when it reached 170 million. The Australian cattle and sheep industry injects more than $16.95 billion into the nation's economy each year and employs more than 200,000 people. Australia is the world's leading supplier of high quality live cattle, sheep and goats to countries around the world, in particular throughout the Middle East and South-East Asia. Many countries across these regions do not have the resources or geography to efficiently produce enough livestock to feed their population. Australia meets the demand for essential red meat protein by exporting cattle and sheep for food production and breeding, as well as chilled and frozen meat products. For more information, please visit Livestock Nutrition Conference.